Back in the old days, I created a network for my home lab. It was a single subnet and was without VLANs. This was because I did not have a switch capable of doing such things, and I was not really focused on the network design. Shame on me. @ChrisWahl Why do you ask questions to which you already know the answer? Put Wireless on its own subnet and VLAN. Here’s a rough history of how it went down. Take a look at all of the hardware in my lab. I started with a rough sketch of what I wanted it to look like while keeping my functional requirements in mind. Whiteboards rock! Don’t mind the blurry part, it isn’t anything top secret … it just has nothing to do with my drawing, so I fuzzed it out. I kept things pretty simple. My Layer 3 switch, an HP V1910-24G, would be the VLAN aggregation point. Pretty much everything outside of the lab will be VLAN 10 (wired) or VLAN 15 (wireless). The wireless AP operates in bridged mode, which really just extends the network segment to wireless devices. Every VLAN except for vMotion has a switch virtual interface (SVI) to get from place to place. VLAN 50 (the one marked Other) will just be for random things I want to play with in isolation. I might use it as a DMZ or as a lab zone – I’m not sure yet – but I like the idea of having a “something else” bucket. Every upstream SVI or routed interface is using a .1 value for the fourth octet, making it easy to fill in default gateways. I felt that creating additional VLANs for Fault Tolerance, ESXi management, and so-on was over complicating the design for no real gain. Note: All trunk ports are using native VLAN 999, which goes no where. I call this my black hole VLAN. Each SVI also has an IPv6 address associated with it for some future fun. A few hours later, the network design above has been implemented. I now have a lot of empty networks and have validated that routing works between them. I’ve also placed a test workload in each subnet and made sure it can hit the web, other networks, and other devices. Thumbs up. 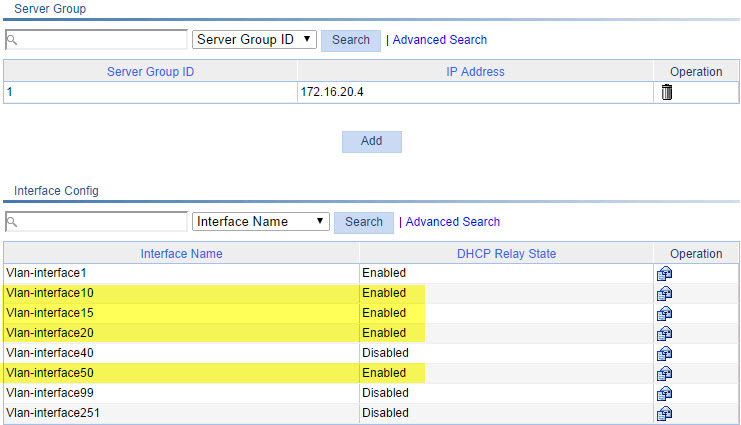 Shift to DHCP for IP assignment, use reservations when required, and rely on DNS updates for A record and PTR records. Use redundant DHCP High Availability in Windows 2012 (Eric Shanks has a good write-up on DHCP HA on his blog). I created new DHCP scopes for each subnet that would need dynamic IP assignments. The scope of each subnet starts at .100 and goes up to .199, effectively giving me 100 addresses per subnet. I can also easily eyeball an IP and see if it is coming from DHCP or not. I am putting the DHCP High Availability requirement on hold until I migrate my domain controllers to Windows 2012 R2. Rather than multi-homing my DHCP server, I used DHCP Relay settings on my layer 3 switch to pass along the DHCP discover messages to the appropriate server. The VLANs highlighted below are able to receive offers. After a bit of effort, there’s now a bunch of new networks and the ability to use DHCP to assign addresses within them. To validate, I plopped down a device on each VLAN and made sure it received an IP address. Once this was done, I moved on to the next step. DNS is important in many network situations, but for a DHCP fueled environment, it was critical to have a healthy configuration. I went through my AD integrated DNS config and created reverse lookup zones for every VLAN that would need a name space. The reverse lookup records, or PTR records, are also required by some software installations. I also spent time validating that devices with DHCP addresses had matching DNS records with a recent update stamp. At this point the infrastructure pieces are completed. The network underlay is ready to receive my various devices and servers. I’ll craft up an additional post that covers the migration of IP addresses to the new networks – including vCenter Server and my ESXi hosts – in the near future as time permits. Could you please provide more details about your switch configurations? What sort of configuration details would you like to see? I’ll supply what I can. I wouldn’t mind seeing how you have configured the trunks. I’m having trouble with the tagging a 3com 2924, which is the same as your HP V1910 – thanks in advance! Wish my 2960s could do pvlans as I want to isolate some wireless devices and vms. Yes, very nice work and an inspiration to change my flat network. I’m currently using Ubiquiti Edgemax and Unifi AP’s with an HP Switch. Also, what HP switch model are you running? Smart managed, layer 3 lite? The HP V1910-24G. It’s a managed layer 3 switch. One challenge I have been facing in my home lab is support on my home router/firewall for giving internet access to devices on multiple networks. I have gone through a couple of makes/models now. Any traffic leaving my router/firewall on a different subnet to what is defined as the general LAN network on the device is silently dropped. Billion 7800n had this issue. Airport Extreme too. Have you had to factor this into your purchases before? MC that sounds like a NAT issue to me. Correct. Have I just had bad luck with makes/models, or do many home devices not support traffic other than from whatever the LAN subnet is configured on the device? In my home lab, I have a Cisco SG300-10 with a handful of VLANs that I would like to provide internet access to without setting up another device to sit in the middle. I’ve had some issues with getting traffic out from Untangle 9 – which I wrote about – however, Untangle 10 supports VLANs. I did have to create static routes for each network because Untangle and my V1910-24G do not support dynamic routing protocols. Long time follower, first time poster. I have recently also re-designed my home lab from a flat network design to one that is similar to yours. I opted for re-building it from the ground, as my home lab wasn’t that large and had some issues from the start. So no migration has been done. My network infrastructure consists of ISP modem in bridged mode that is directly connected to my pfSense box. My core switch is a Cisco SG300-28 in L3 mode. All my internal routing is done on that switch including DHCP server with pools for my different subnets. I found it easier to have that service placed there and not having to bother with DHCP relays or IP-helpers. I also have a consumer router from ASUS acting as an AP for my wireless network. No routing is performed on that one. Some routing is performed on my pfSense box to enable internet access to my server and client network subnet/VLAN. 1. Moving off of VLAN1. You mention that as one of your goals with the new network, but you do not really explain how that is accomplished. As soon as I exclude VLAN1, I loose internet connectivity and/or connection to my core switch. It would be great if you could explain in more detail how that was accomplished in your new network. 2. How do you isolate traffic between your L3 switch and router / firewall? I assume that lies on its own separate subnet and VLAN? Hello Patrik. I’ve added an additional graphic showing the physical topology, which hopefully helps clear it up a bit. I use Access Ports to most of the non-lab sections (home, wireless, and upstream to the outside network). The rest is just handled by static routes. Isolation is provided in a few ways – first broadcast and IP isolation using VLANs, and also the ability to do “heavy handed” QoS on the switch. I can also set up DHCP snooping, MAC filtering, and other ACLs on the layer 3 switch. If needed, I could also force wireless traffic up to the router/firewall and enforce ACLs there. It would simply be more difficult to do so when everything is mashed together in a single subnet / VLAN. The above sounds about right, correct? Another question that comes up in regards to the above. The switch ports connected to the ESXi hosts are configured as trunks. But each trunk port must contain one untagged member which is the trunk native VLAN. This on my SG300-28 is set by default to VLAN1. So to get off of VLAN1 I should…? Create another VLAN. Say “Dummy VLAN” with an VLAN ID of 99 and replace all the untagged members on the trunk ports to that VLAN? Is this the correct procedure to get off of VLAN1? My home lab network topology is setup very similar to what you have migrated to. As a network guy turn vmware, vlan 1 was gone before is started. I have 7 vlans for various type of traffic such as servers, vmotion, vpn and so on. I have a Cisco router connected to my ISP that provides all the routing for my subnets along with remote vpn access (I like to tinker when I’m on the road), firewall and just about any other thing (DMVPN anyone/VyperVPN L2TP) i can throw at it. I also have to Cisco SG-300 (awesome for home labs) for connecting 3 hosts; one for management (longtime fan…mentioned it earlier) and two Synology boxes. I noticed you mentioned you don’t use iSCSI. I read your post (a while back I know) about performance differences between NFS and iSCSI and I find myself at a crossroads as to switch over my Synology DS412+ to NFS or keep the current iSCSI multi-pathing (separate subnets) setup I have now. The Synology box is split between 2 spinning disk and 2 ssd’s. Just waiting on Samsung EVO ssd’s to arrive so I can move the spindles over to my new DS214+ (media/file sharing). One thing I would note for those out there with similar setups. 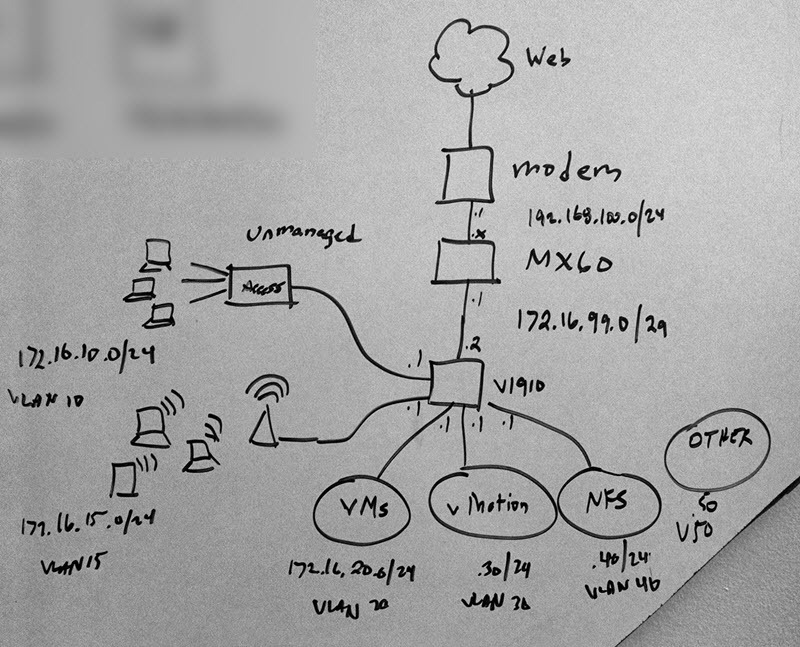 You can’t substitute “knowing how it’s all setup” for accurately documenting your home network topology. It pays dividends when are you trying to troubleshoot, or introduce something new into the environment. Lastly, you mentioned you were looking into getting a “Meraki MX60W” for your firewall device. I assume your Untangle box is reaching the limits of what you are throwing at it, or like me, you like “new things” and want to “enhance” your current setup. I’m looking at putting a Spohos UTM Home Edition firewall in front of my Cisco router to take the filtering load off my router and to play around with hosting my own blog site. I just picked up a license for BIG IP virtual edition, so I want to have a secure way to access my VDI environment from anywhere with an enterprise type of fell. Who am I kidding, I just like “new stuff”. I look forward to meeting you at VMWorld in Barcelona. Thanks for your comments, MG. I’ve all but removed iSCSI from the lab for many reasons: prefer file over block, iSCSI performance was lacking on my older gen Synology boxes, and no one host is exceeding 1 Gbps of NFS traffic. It’s also nice not having to worry about UNMAP operations to reclaim space. Hey MG, When using your Sophos UTM – how many nodes do you have in your home? 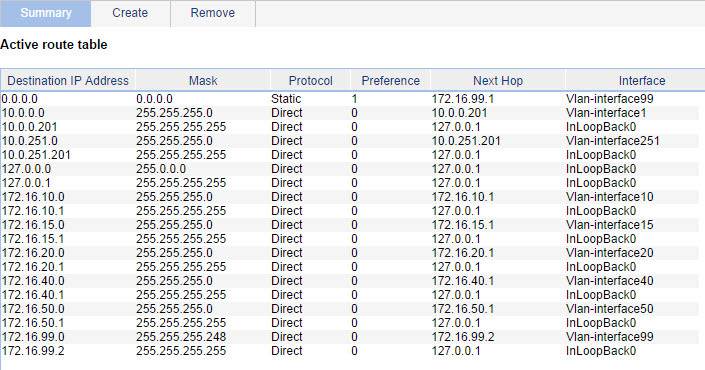 Last time I checked, I am hitting 60+ IP addresses when I look at all the VMs, hosts, phones, tablets etc. Since Sophos only supports 50 IP addresses, I am currently using pfSense. I am thinking of switching or trying out something like Untangle. Too bad I can’t use Sophos due its 50 IP limit. Brilliant article. I tried splitting up my VLANs when I got my HP switch but I had trouble getting it all to work. So I gave up till I had more time to spend. It seems I have a new project during Thanksgiving holidays. I’m only pushing 15-20 ips through it, though I have many more systems. I use a clearOS internal web proxy and wsus server to avoid all servers from going out to the web for updates. I also use acls in my router to limit what IP have access to the web. I can provide greater detail if you need. Hey Chris, so how did you handle your plex server? looks like you are splitting server, workstations, wireless into different broadcast domains so this would limit the coverage. or did you just multi-home your plex vm? I believe routing is the answer to your question. I have built something similar to this. I am running Plex on a Win7 VM in my user segment, which is the same subnet as my media devices – TV etc. The actual storage is via SMB to a NAS in my server/infrastructure segment. the plex sever would broadcast it’s services to it’s local network (broadcast domain/vlan/network). I don’t believe you can route broadcast. Now when you mention… You are absolutely correct. I have a very similar setup at my home as Chris and I run a Plex server too. My server network is on 10.0.20.0/24 and my clients are on 10.0.30.0/24. Each network is also in their own VLAN with inter-VLAN routing enabled on my L3 switch. I have no problems connecting to my Plex server. Since I am no true network admin I cannot explain it any better than it just works out of the box. Had no issues what so ever. Maybe Chris can shed some light on this? I just found your website while searching for home servers and virtualization. My hats off to you for taking the time to documenting it all and making it available to us! I find it that this is one of my most difficult things to do – documenting the network and updating the documentation! I’ll be adding your website to my bookmarks and keep checking on it to learn a thing or two and get some more ideas. Thanks for sharing! hey Chris, I’m using this design in my network (just different IPs and VLAN numbers). I love it but I’m having one issue: only nodes in the Servers VLAN (VLAN 20 in your case) can resolve DNS names, but can resolve IPs no problem. I’m using the same setup except I have a Cisco SG300-20 at the core (in L3 mode) and not an HP switch. Any ideas off the top of your head? Thanks! Make sure there’s nothing filtering DNS queries, and that servers in other VLANs can reach the DNS servers listed (try pinging them from a server with an issue). Quick question why migrate from 10.0.x.0/24 to 172? I realize this article is a little old; are you using the same setup? 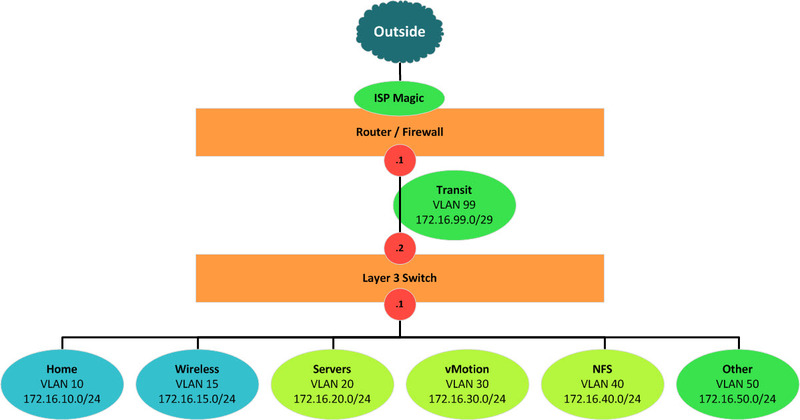 Do you have WAF with the home side VLAN? This effectively creates a double NAT situation, right? I mainly worry about things like certain gaming systems complaining about double NAT. Do you add them routed through manually, or not even have them to worry about? In order to do the SVI, I’d have to do that on the SG300, and I can only do one SVI per interface? Which I think would mean I’d run out of physical interfaces if I segregate my home network like I want.